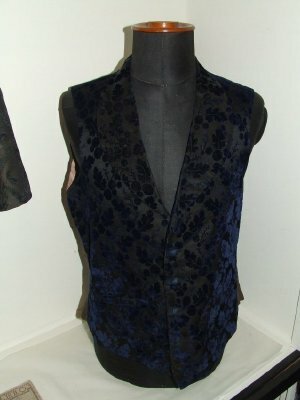 Description Man's embossed silk and velvet indigo waistcoat, with a collar with a stylized leaf design. 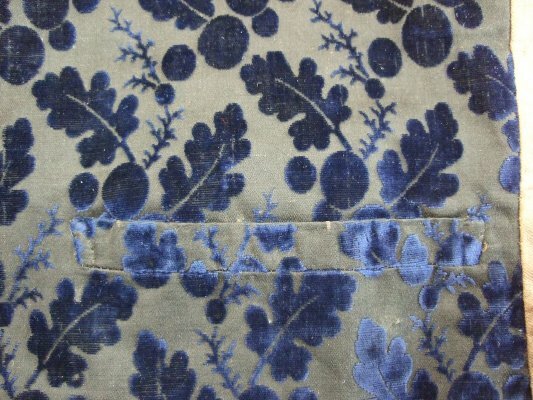 Fabric/Weave:	Silk/velvet. Uneven. 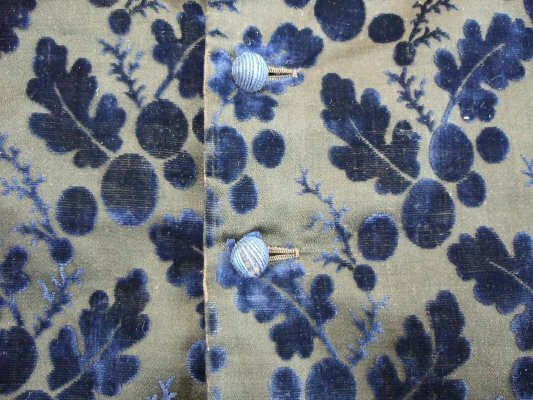 Four cloth buttons (two missing) fasten the waistcoat centre front. 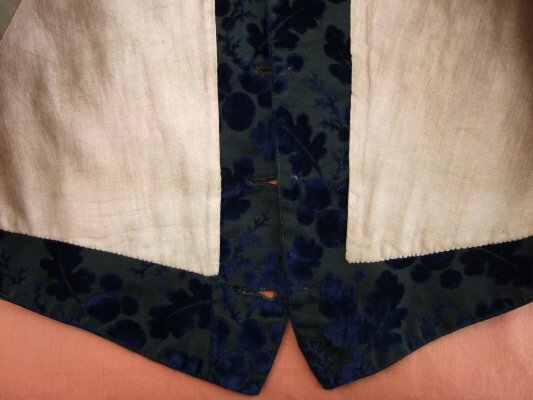 The waistcoat is completely lined with off-white fine linen and is backed with a darker brown linen. 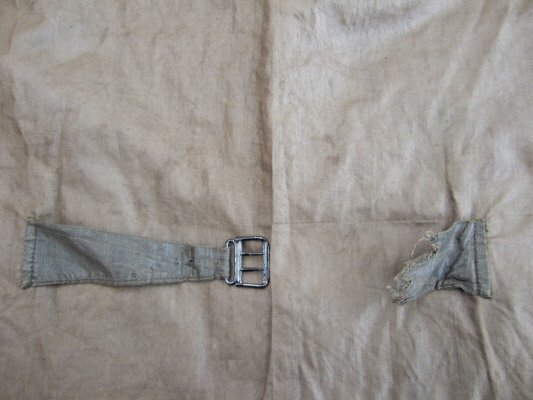 The back adjustment has a metal buckle and a material stay. All stitching that can be seen is hand-done. 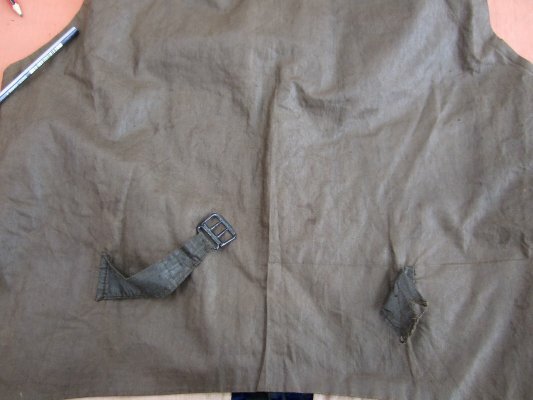 The condition is good; back stay is torn. There are two buttons missing centre front. 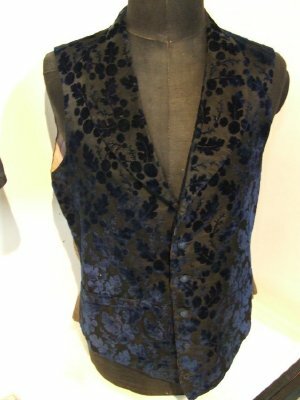 Handstitched waistcoats were often given to the bridgegroom-to-be by his fianc� as part of the dowry. 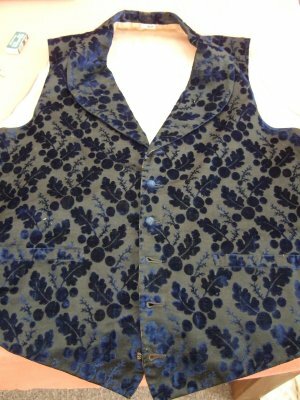 This waistcoat had been handed into the Society and is in the recording notebook as,"Mans fancy navy embossed waistcoat with collar."